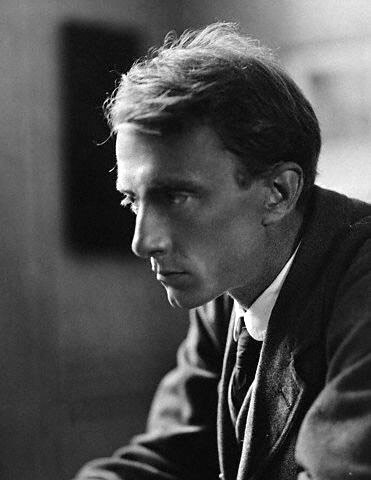 Early in 1913 Edward Thomas cycled from London to the Quantocks writing an account of his journey commissioned by a publisher and titled The Pursuit of Spring. He wasn't at that time the poet Edward Thomas. “I couldn't write a poem to save my life” he said to his friend Eleanor Farjeon. He was a poorly paid critic, reviewer and journalist, respected by his contemporaries but convinced of his own mediocrity. He suffered from attacks of depression, and was prone to sometimes suicidal episodes of melancholy. One of the ways he had learned to cope with his mental turmoil was to walk alone through the countryside. Long rambling walks he took a round his home in Hampshire and also longer hikes and expeditions across Southern England. Sometimes he would persuade a publisher to take his prose accounts and descriptions of his travels and package them as a kind of Edwardian coffee-table book. “The Norfolk Jacket school of writing” is how he jokingly described his rural writings, but for Thomas it was a given that life in the countryside was the truest way of life and that a man in the city could only lose himself as he lost touch with nature and his natural surroundings. He loved literature and he loved history but he loved above all things the English countyside. He knew the names of every bird and wild flower and all his life he had studied them through the changing seasons in Kent, Hampshire, Wiltshire, Gloucestershire, Surrey and Somerset. The following year in 1914 Thomas was to review the poetry of the american poet Robert Frost. His favourable reviews did much to establish Frost as a serious poet and the two became friends. Frost theorised that the vocabulary, rythms and cadences of ordinary speech could be elevated into poetry and specifically pointed to Thomas's prose in the Pursuit of Spring saying that the book was full of poetry “but in prose form where it did not declare itself”. He even picked out paragraphs “and told him to write it in verse form in exactly the same cadence”. As the war in Europe continued Thomas began to feel that he had to volunteer to serve and through 1915 and 1916 as he first struggled with his conscience, then enlisted and began to prepare himself for his likely death in the trenches Thomas finally turned to poetry, producing 144 short poems before he left england for France with the Royal Artillery. He was only three weeks at the front before being killed by shell. Only a handful of poems had been published in his lifetime, but such has been the popularity of Thomas's poems that they have not been out of print in the 100 years since his death. To be contented with, I ask of Fate. In the first verse Thomas mis-quotes Coleridge's 'Sea, hill and wood' that he identified as a Quantock view in his prose writings, and in the second and third the hedges, trees and gardens closely echo his description of East Quantoxhead in Pursuit of Spring. The clincher though, is in the third verse where he names the pub in West Bagborough where he stopped for refreshment while pushing his bike up the steep western slope of the Quantocks. And Spring's here, Winter's not gone. 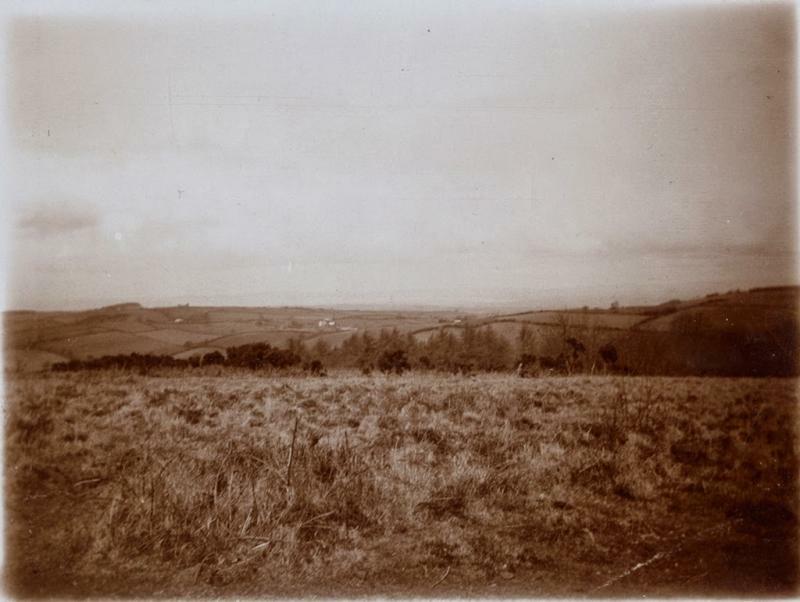 in 2015 a collection of old photos was found among the manuscripts in the Edward Thomas Archive at Cardiff University. They appear to be Thomas's own photos of his journey. the whole collection is viewable on Rob Hudson's Blog.